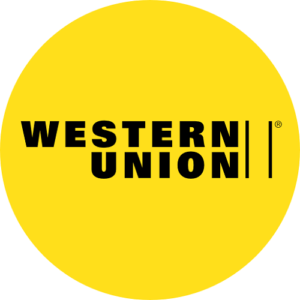 Western Union is a global money transfer service available in all major cities around the world. With online betting, it is the best way to ensure that your money is deposited safely, especially when you are transferring to off-shore bettors catering to US players. In this guide, we’ll be looking at the top American betting sites accepting Western Union deposits, how to make a deposit using this transfer method, and what makes a good Western Union online sports betting site. The betting sites listed below accept Western Union money transfers. These sites guarantee great welcome bonuses and other rewards from American bettors. While the process is multi-stages, and can take a bit of time, you can rest assured that your money has been transferred safely. Sign up or login to your account at the betting site. Get in touch with the support and customer service team of the betting site. Ask them to help you arrange a Western Union deposit. The consultant will then give you the name and location of the person receiving your transfer. Usually, online sports betting platforms using this service assign a person to receive your transfer. You’ll receive a tracking number which you send along with your wire transfer. Find the closest Western Union office to you. The cashier will wire the money to the individual. Note, Western Union will charge a fee for this. Some betting sites refund bettors for fees over a certain deposit amount. The cashier will give you a ten-digit number. Email this transaction number to your site’s support consultant to finalize the transaction. You’ll receive confirmation from the betting site that they’ve received your deposit. Try and do your transfer during working hours and working days. This means you will have the money in your account in a couple of hours. With some other betting sites, it can take as long as three days to arrange a Western Union withdrawal. To receive your cash, simply go to your nearest Western Union office with the tracking and transaction number to withdraw it. There are a number of things to look out for and consider when shopping around for a site that accepts bets via Western Union. Look out for a license on the site – the badges are usually at the bottom of the site. These licenses for US sports bettors are issued in the jurisdictions of Costa Rica, Panama, Netherlands Antilles, and Antigua. If it’s not licensed don’t bet there. Check if they have a responsible gambling policy, if they are audited for fairness, and if they have more than one recognized deposit method. These are very good signs. A good reputation that’s longer than five years is a very good indication of a legitimate sports betting site. It’s important for them to be known for fast hassle-free payouts. Join multiple sportsbooks. This allows you to shop around for the best lines, bet types, and odds. All sport betting sites have welcome bonuses. These are usually offered as a percentage of your first deposit. Check the playthrough requirements because these are different with each site. You’ll have to shop around a lot more if you’re looking for Western Union accepting betting sites that have niche sports like college sports, golf, or motor-racing. Most US sites will have the big four US tournaments – NFL, NBA, MLB, and NHL. Lastly, find sportsbooks with competitive lines. Bonuses and promos alone will only take you so far and won’t make up for those small differences in spreads between a winning and losing bet.